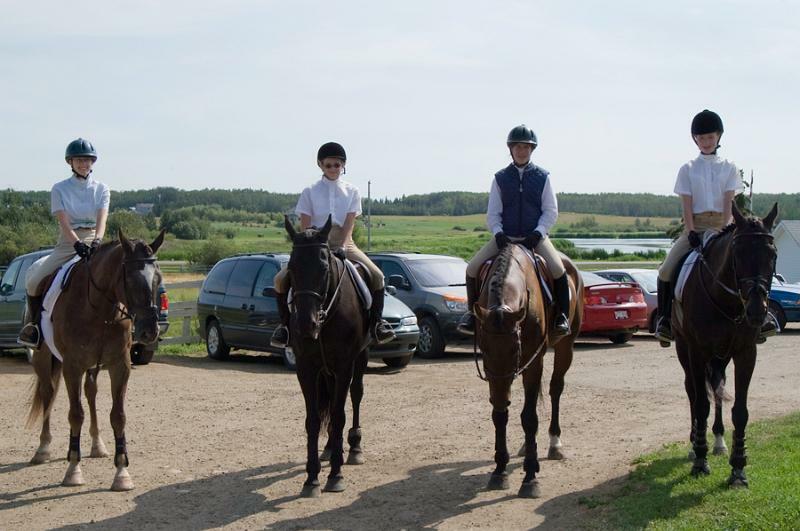 Over the years, we've accumulated a few photographs recording the activities in and around Tyndall Park, and at horse shows and clinics around Alberta. We have arranged a few of them into photo albums, which can be accessed below. Click on any of the photos below to open the associated album in a new window. 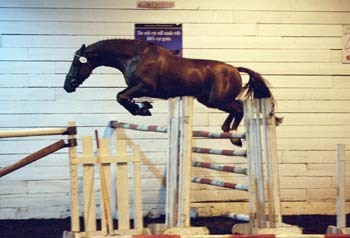 Cheops Z is our CWHBA approved stallion from the renowned Holsteiner Stamm 730B line, and is standing at Tyndall Park. 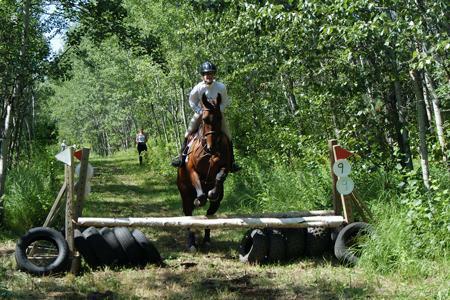 Horse Camps: Tyndall Park presented summer riding camps for several years in Alberta. Note we do not offer horse camps at this time. 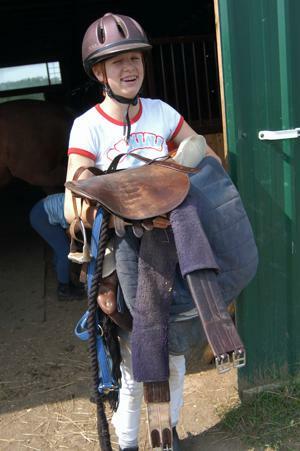 May 2005 Cross Country Clinic: Jennifer Arbuckle and Brooke Matter arranged a cross country clinic at Alhambra Stables in Red Deer in May 2005. Many of Jenn's students made the trip, as did Cecilia and Janice. The rest: This album contains photos that either don't fit into any of the categories above, or I haven't got around to categorizing.